In this section we offer you new product information, structured by segments/industries in which these products can be used. In addition to application data, product properties and advantages, you will also find brief technical information and a strip cross-section. A link leads you to the corresponding data sheet with detailed information. Our new products support hygiene-sensitive areas of food production and processing: Manufacturing of confectionery, processing of dough, meat, poultry and seafood, as well as in the dairy, agricultural and packaging industries. This new type of polyolefin with an MT surface structure was specially developed for tobacco processing. The excellent release properties mean that it is easy to clean. In addition to the possible applications in tobacco processing, a variety of applications in the food industry are also conceivable. 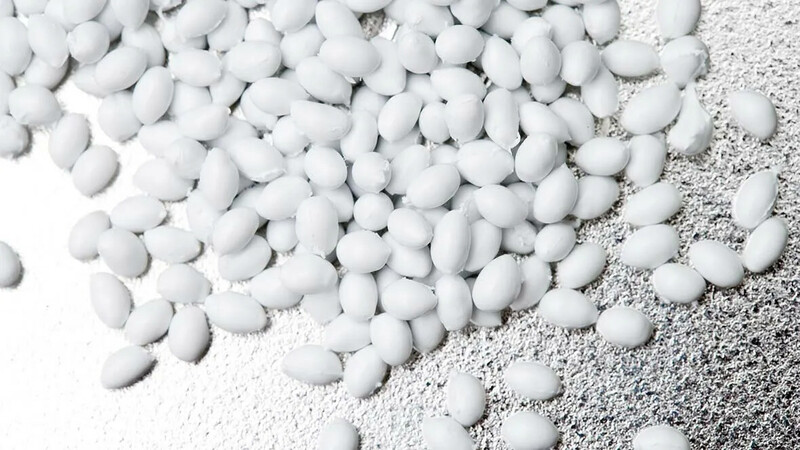 This new polyolefin type has been specially developed for tobacco processing, and due to the GSTR surface structure, this type is ideally suited for inclined conveying applications in tobacco processing. In addition, a variety of applications in the food industry, e.g. in the manufacture of sticky products, are conceivable. The blue Transilon type corresponds to the market demands for a good contrast to the food due to its color. Its High Grip coating also enables problem-free inclined conveying of dry foods such as small bakedmgoods and confectionery. The new mini pitch series 15 offers two types with different surface pattern: S15-47 GRT und S15-47 RSA. The Series 15 was developed especially for long, multi-tiered cooling lines of the type found in tortilla production for instance. The open design also qualifies the new series for cooling tunnels in confectionary and dough processing, oven infeed / discharge conveyors, and drainage applications which require a very open mini pitch belt. With 47% open area, series 15 ensures maximum airflow and little product contact area, for the RSA version as little as 20%, to avoid problems with condensation and achieve better product quality and shelf-life. With the new bucket profiles, bulk material can be conveyed safely and in a controlled manner up steep inclines. The new S13-0 CTP with its cone top is ideal for inclined conveying in the bakery and confectionery industry. 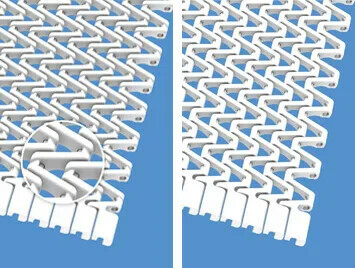 Belts with this pattern are also encountered in slicers and portioning systems in the meat, fish or poultry processing segments. By contrast, S13-34 FLT with its open area of 34% and a smooth surface, is perfect for cooling and drying processes on machinery with tight transfers. Furthermore, the open version is also a good option when processing or making very sticky or greasy products that might tend to cluster on the belt bottom side. Using the open version here will ensure and maintain correct sprocket engagement as debris can be push through the bottom when running over the sprocket. ≥ 19 mm in diameter and steady belt tracking over a fixed knife edge. The stable and robust Prolink belts with a pitch of 25.4 mm (1 inch) and an open area of 30% are especially suitable for the conveying of loaded and unloaded plastic crates in the meat and dough processing industry. 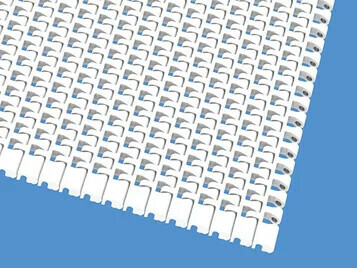 The elastic Extremultus belt for use in the end of line packaging in various food processing plants. Also suitable for use with check-weighers in the food industry. 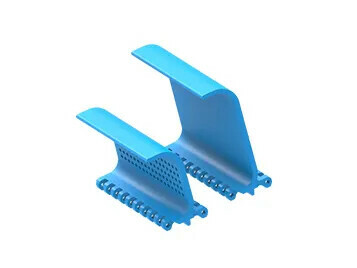 For Prolink applications with steep inclines where scoops are required to enclose the product and ensure perfect transfer without product loss or spillage. The elastic Extremultus belt for use with check-weighers in the food industry. Also suitable as a multi-ply storage belt/slicer. The Transilon belt type, highly versatile for food industry uses, with laterally stiff, preshrunk, frayfree fabric and optimized fiber length. The Transilon belt for the production of biscuits and crackers using rotary cutters, especially suitable for use for which the belt needs to be particularly resistant to incision and punching. The Transilon polyurethane type with freyfree fabric and diagonal structure for compact dough dividers and kneaders. The Prolink series 14 with a pitch of only 12.7 mm (0.5 inches) for tight, vibration-free transfer of products, even where there is a fixed nosebar. The Transilon polyurethane type with width direction groove (WG) for use in the meat- and poultry-processing industry. Ensures excellent product grip and is particularly hard-wearing. The elastic Extremultus type for use as a belt for check-weighers. It is antistatic and highly resistant to grease and oils. 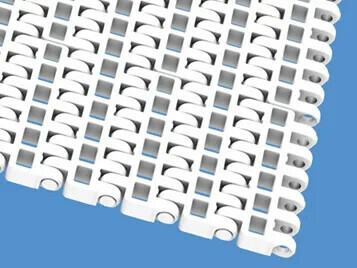 The silicone-coated Transilon belt type for the chocolate and confectionery industry; particular attention is drawn to its ‘frayfree’ (FF) property. Its preshrunk fabric makes it heat-stable. The new polyurethane belt is ideal for wafer machinery, dough cutters or in meat processing. The new products for intra logistics at distribution centers and airports guarantee perfect material flow plus top performance and efficiency at the same time. The energy-saving Amp MiserTM belts make it easy to push packages (on sorters) and baggage (at airports) on and off. The energy-saving Amp MiserTM belt for large angles of incline up to 22°. Its superior lateral stiffness means it can withstand forces occurring from the sides. The energy-saving Amp MiserTM belt, a standard belt for the conveyance of packages. Fabric with especially high lateral stiffness and resistance to wear, for excellent puncture resistance and outstanding tear strength. The energy-saving and particularly low-noise Amp MiserTM belt for use as a collecting belt and for accumulation conveying. The Transtex belt type for general package-conveyance functions; it is low-noise but still has excellent resistance to tearing, incision and puncturing. The Transtex belt type for inclined conveying, chiefly in package conveyance with fabric designs that are especially resistant to incision and impact. The new elastic belt type was specially developed for horizontal conveying and strip merges. 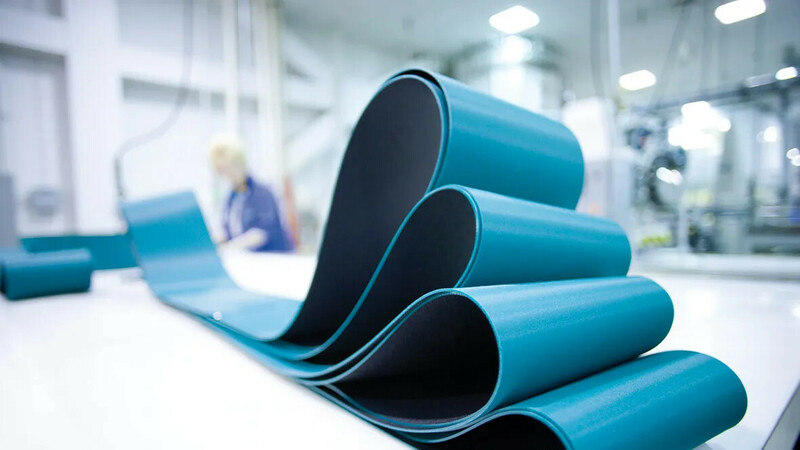 It stands apart for its hard PVC coating, matt surface pattern (> due to an ideal friction coefficient against steel) and fabric, which makes the belt an excellent choice on wide machinery with short center distances. Our new products are true specialists for the various requirements of this very diverse market: For the automotive, tire and chemical industries, metalworking, mechanical engineering and power generation sectors. The Extremultus belt with highly-conductivity (HC) underside and top face for conveying sensitive electronic goods. Very hard-wearing for long service life and frayfree conveyance (reduced abrasion). 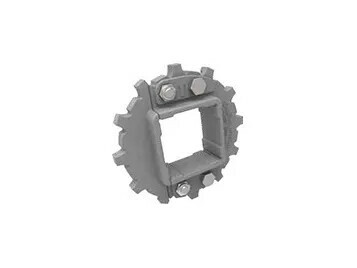 The split sprocket of the Prolink series 8 allows easy belt replacement without the need to disassemble the shaft. This new polyurethane belt stands apart for its high level of lateral stiffness and durability. It’s ideal for the tire or automotive industry and as a magnetic belt. 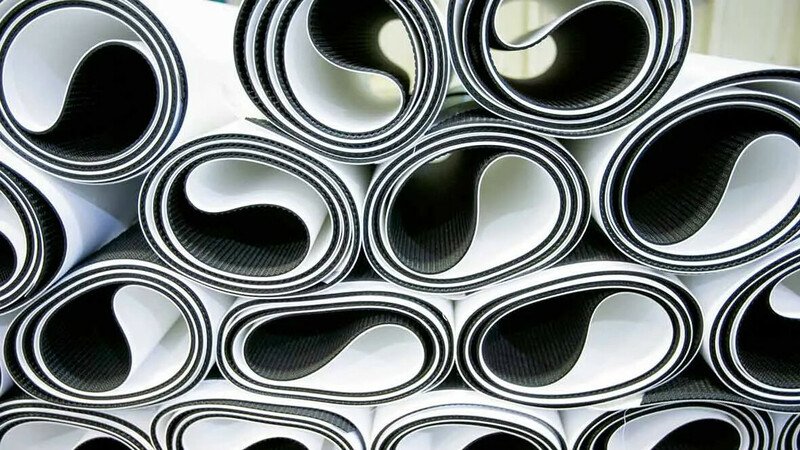 New product developments ensure belts perform superbly in the various branches of the raw materials processing sectors such as the wood, marble or plasterboard industries. The Transilon belt for high temperatures is ideal as a dryer belt for UV-curing varnishing systems in the furniture industry. It has high levels of chemical resistance to aggressive substances. This new polyurethane belt stands apart for its high level of lateral stiffness and durability. It’s ideal as a checkweigher belt for wooden panels. 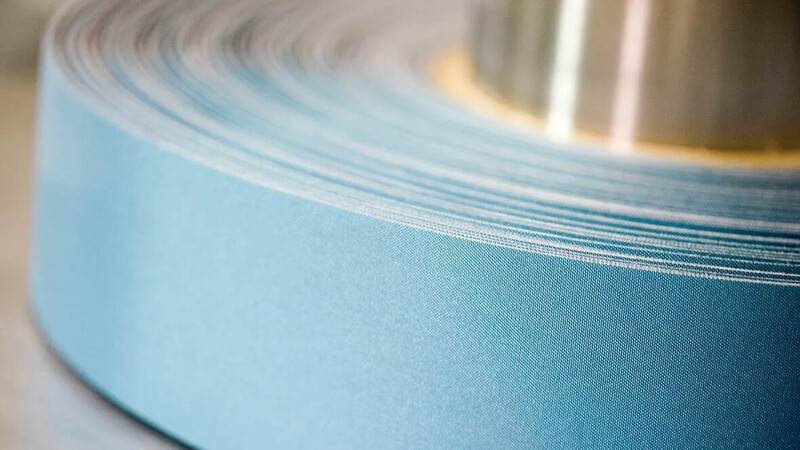 Alongside their core function, innovative new products offer additional benefits in yarn manufacture, the nonwoven and clothing industries and especially challenging area of textile printing. 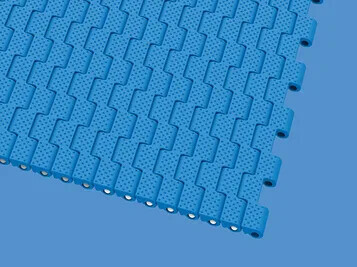 The Transilon PVC belt with matt surface for horizontal and inclined conveyance in industrial laundry systems. New products for the paper processing and letter sorting sectors have all the right functions and are product-friendly. Product developments for a range of printing and post-press processes optimize conveying, folding or packaging. This new polyurethane belt stands apart for its high level of lateral stiffness and durability. Because it absorbs very little ink, it’s highly suitable for use in rotary cutters. Only new products that are 18 months or younger are displayed here. All other products are already integrated into the standard program and are listed in our Product Finder. Corresponding data sheets can be downloaded there. 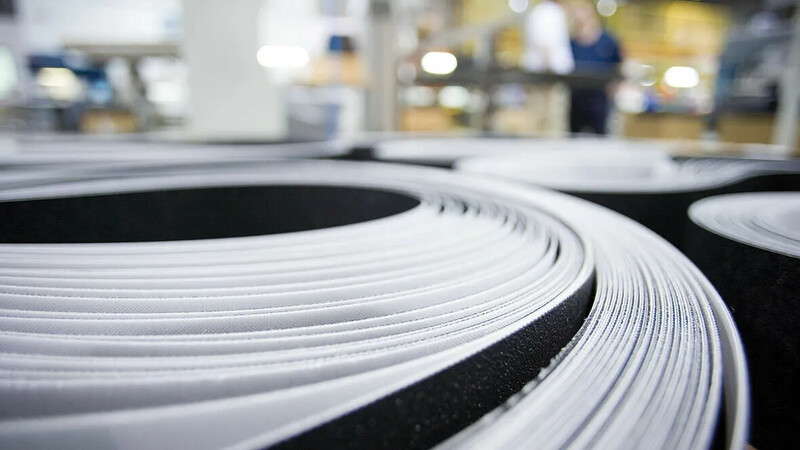 Our belts for the tobacco industry are guaranteed to comply with pyrolysis standards and the regulations on plastics regarding unpackaged foodstuffs (EU, FDA).